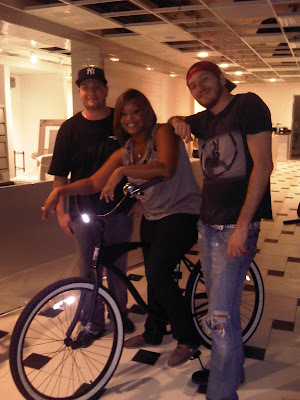 Sunny Anderson: Post VP Visit Vittles! Hey there! Well, it's the morning after and I'm still totally not even believing I was at the Vice President's residence for such a special occasion. I met veterans and active duty members that have made sacrifice's to keep us free and then also met the brave families that support them. It was a pretty awesome event. I took photos to share, but need to get them approved by his staff before I put them up. Totally understandable, so in the meantime ... Jacob over at FoodNetworkAddict.com has a couple of pictures up from the Associated Press. There we were just leaving the Vice Presidential residence after the cook out, when I got an email from him that he had a post up ... with pictures. I was like ... huh? How'd you do that so fast? I just left! And where'd you get the pictures??? Jacob's on his stuff! 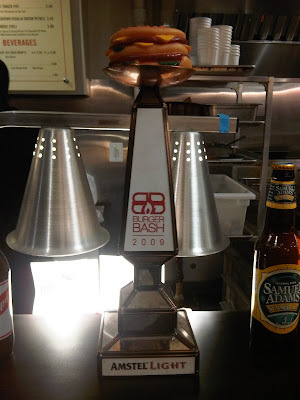 Then I looked down to figure out which brew I was going to drink with my Obama burger and Spike's Village Fries and saw his trophy!! That's the Colletti's Smokehouse burger. 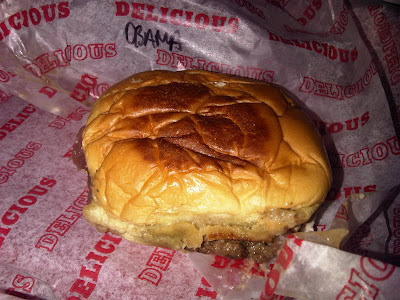 We passed our last bits for a bite and it was just as yummy as the Obama burger, but I favor the Obama burger. I forgot to mention it has blue cheese on it ... yummy and the perfect level of blue, not too strong. We all sat and chatted up a bit and then Spike dropped off his first cook book!!! The Good Stuff Cookbook, click away on the title to order straight from Amazon. The pictures remind me of a book I like called Zest. His food pictures are so close up they feel like they are on a plate in front of you and the typeface is easy on the eyes. Gooooo Spike!!! I checked the book out and when I looked up there was a delivery of dessert!! That's his toasted marshmallow shake. It was thick and had a custard flavor like no other! I already knew from this past year's South Beach Food and Wine Festival that he knew how to make a shake, so this was a nice treat. I sipped half at the table and took the rest back to my hotel room for a slow-sip I.V. the rest of the night. I'm actually pulling into NYC's Penn station now ... gotta get off my lapper ... more later on the event!! OMG Sunny, I should know better than read your blog when I am hungry!! That burger looks soooo good! As always, great story too. I was hanging on your every word!!! I can't wait to read more about the VP visit! Congrats Sunny I knew the event would be a success. 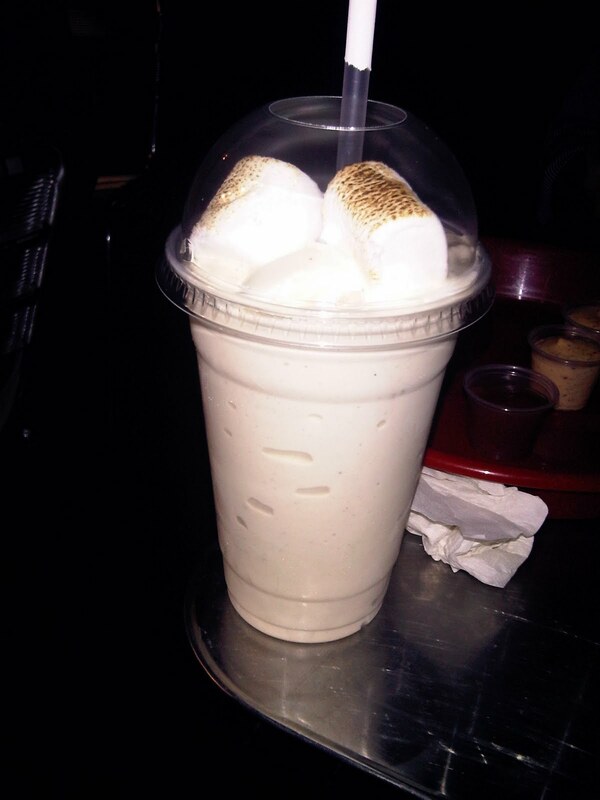 On Spike's toasted marshmallow shake, that's the best thing since sliced bread. It so thick, creamy, and taste like toasted marshmallows from an open fire. I luv it! Spike is super cool. I will look into picking up his book, even though I just went a bit crazy at Border's on 34th yesterday so it may have to wait a few. Marshmallow shakes are amazing. I had my first at the NYC's Harvest on the Square last fall. I feel you on the custard flavor and the vanilla and marshmallow all make it creamy delight-ville. Thank you for sharing these photos of yummy foods. dolphinfanhg, girl ... i can't even look at that picture now! i need to take a train back to his joint for a burger! crazy! mai, thanks! looks like we eat the same! 1st ben's, now spikes'!? give me one more place to eat @ in d.c. the next time i visit! camillecares, i totally agre about spike. feels like i've known him for a minute and we've only just met in the last couple of years. book is great, worth adding to a collection, reads like a story and plenty of pics. u have to try his shake!! What an awesome time hanging out with you foodie buddies! That's so cool of you, Sunny. Hey sunny, just got home from a late night of partying and decided to make ur sunny-side-up burger and smoky onion rings (yes all at 5A.M.) and it was the best!! Please keep those delicious dishes Coming.... Thanks. 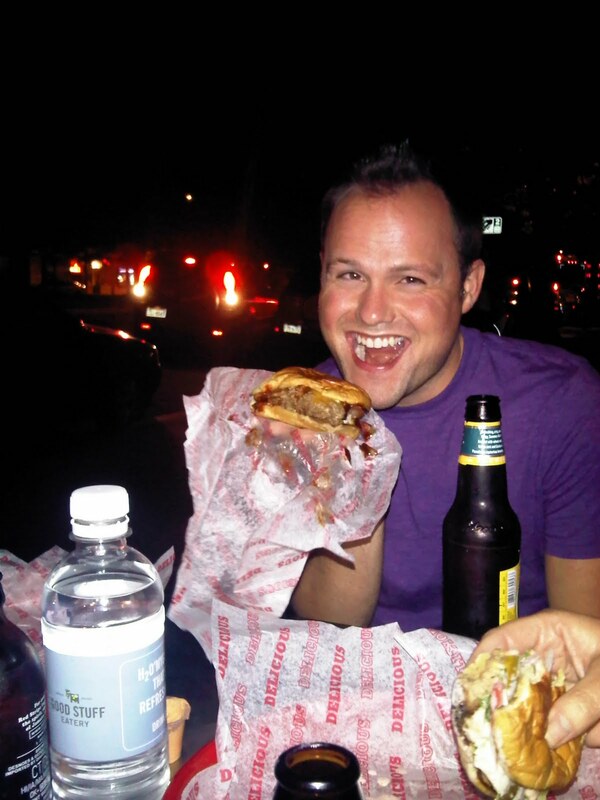 lisa, i had a great time in d.c. and i'm still thinkin about spike's burger, pretty darn good. 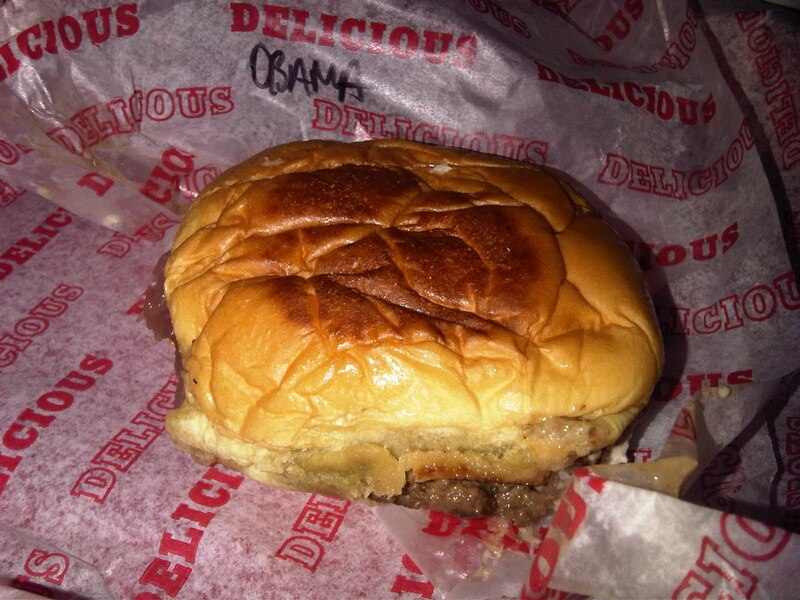 i can't say enough about how lightly the burger was mixed, really makes a difference. stick around, i have more vp pics on the way! mai, i'm makin a list and checkin it off on your suggestion. if you see me coming down your way, let me know in comments and we can meet up at one for a bite! or we can just meet at ben's. i'm happy either way! toby, hey i sent you an email from my gmail account, did you get it? Congratulations on the VP event. 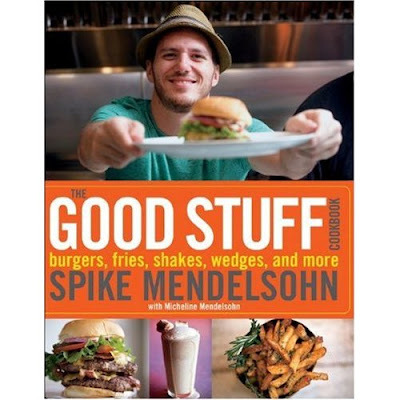 I was so excited to read about your visit to Good Stuff. A good friend and I were there yesterday and as usual the food was EXCELLENT! I love the Marshmallow shake. I saw someone with the Milky Way shake yesterday and I am going to try that one next time. My favorite burger is the Turkey Burger. 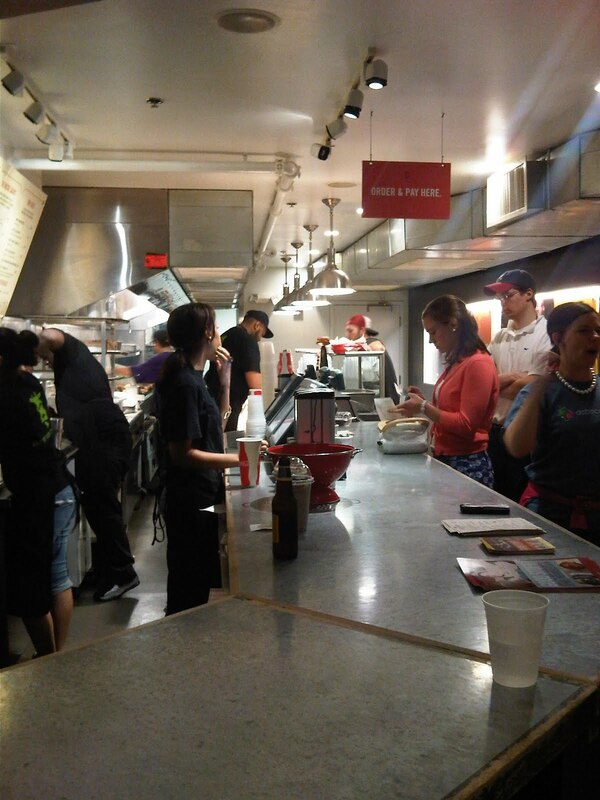 Another go to in the DMV is Jerry's Seafood - they have a Crab Bomb that EVERYONE raves about! Check them out next time. just an inside look at my journey through a dream ... hope you enjoy! Cooking for Real, Season 10@10am, Saturdays. Monday -Friday @3pm eastern! All photos are property of Sunny Anderson and may only be used with written permission.